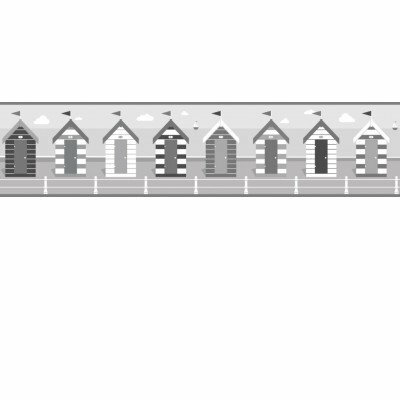 A pretty black and white beach hut border with little beach huts in a row. A perfect fun addition to your bathroom perhaps. Easy to apply peel and stick border. Please request a sample for true colour match. A pretty blue and red coloured beach hut border with little beach huts in a row. A perfect fun addition to your bathroom perhaps. Easy to apply peel and stick border. Please request a sample for true colour match. 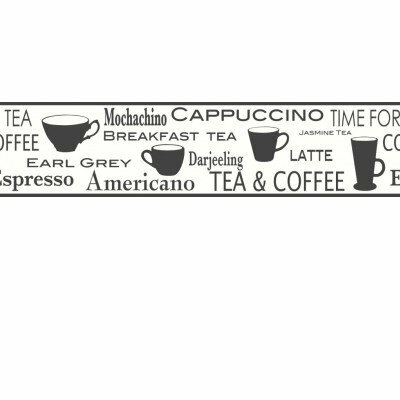 A border with text relating to tea and coffee with cup motifs in black on a white background. Perfect for the kitchen. Easy to apply peel and stick border. Please request a sample for true colour match. A pretty border with text relating to bathing in black and metallic silver on an off white background. A smart sophisticated addition to your bathroom perhaps. Easy to apply peel and stick border. Please request a sample for true colour match.